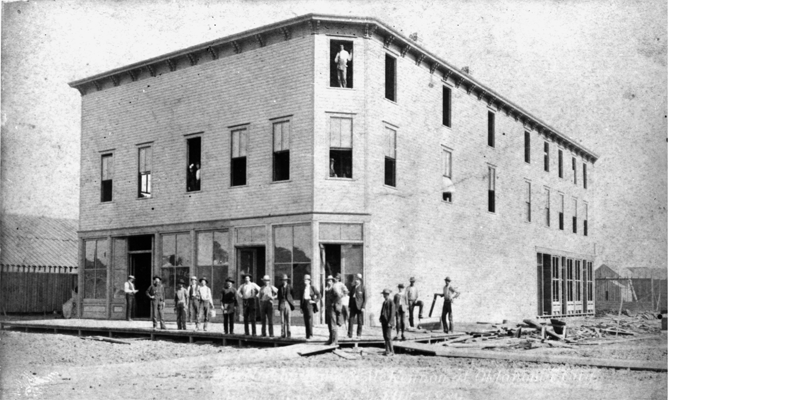 A visit by influential members of Congress in September 1889 was the most important event in Oklahoma since the Run itself. On Tuesday, September 17, 1889, six congressmen arrived by rail from Guthrie for a first-hand look at life in the Oklahoma country. Following a tour of the city, they joined a large gathering for barbeque and speeches. Mayor Couch and city councilman Sidney Clarke delivered the welcome. 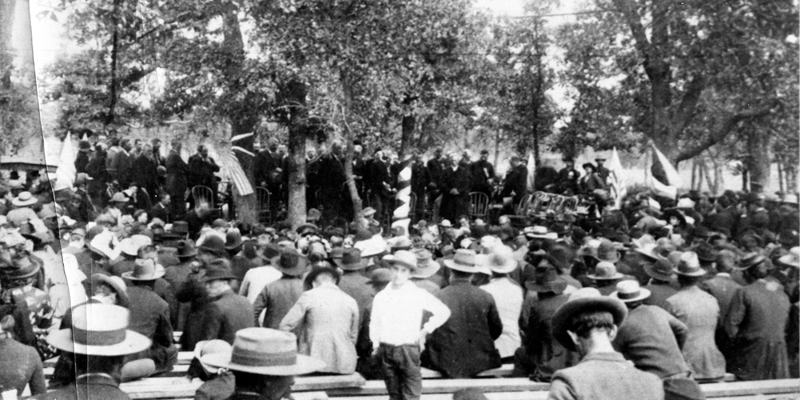 Congressmen Charles Mansur of Missouri, and William Springer of Illinois, author of the legislation that opened Oklahoma Country to non-Indian settlement, addressed the crowd. That evening a gala dinner event at the Bone and McKinnon building showed off the city and its citizens in all their finery. Before leaving the following morning, the dignitaries promised to do what they could to hasten federal legislation to establish territorial governance. For a brief time the city's feuding factions came together to show their most friendly face. Yet barely four days later, a city charter election aimed at overthrowing the Seminole-controlled city government would be stopped at bayonet-point by Captain Stiles and his soldiers, acting at the direction of Mayor Couch and the city council.